Please tell me I am not the only one who walks a little bit slower past the Coke displays these days. 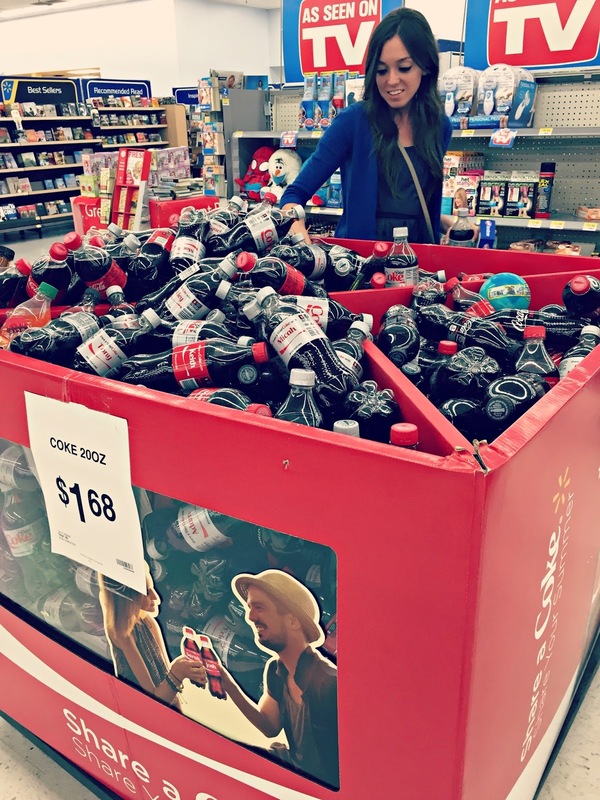 Whether you like to admit it or not, it's pretty exciting to sip on a refreshing Coke that has your name written all over it... literally. 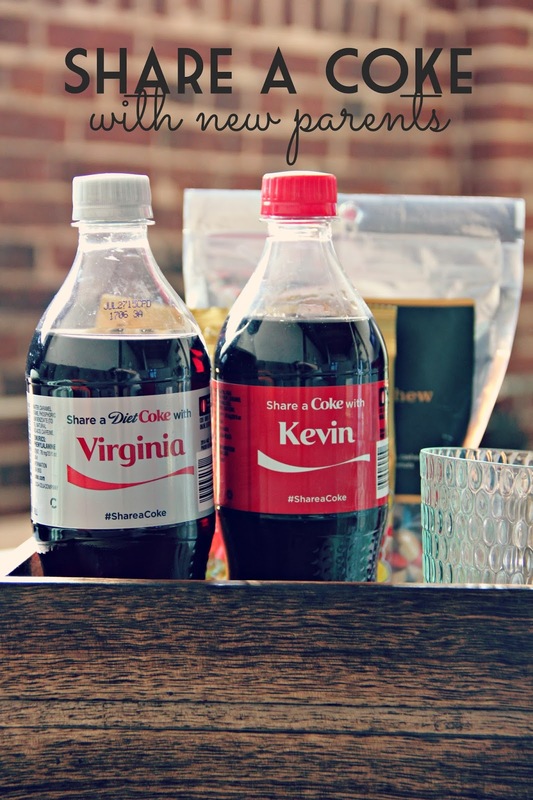 Well, recently, while walking by large bin of personalized Coke at Walmart, I spotted upon a "Kevin" and a "Virginia". It just so happens that those are the names of my brother-in-law and sister-in-law who are expecting their second baby this summer! How could I just leave those Cokes lying there? I couldn't. In addition to the 20 oz bottles, I grabbed a few extra items for them, because this time isn't all about the baby (even though I can't wait to meet our newest nephew!!). It's about them, too. 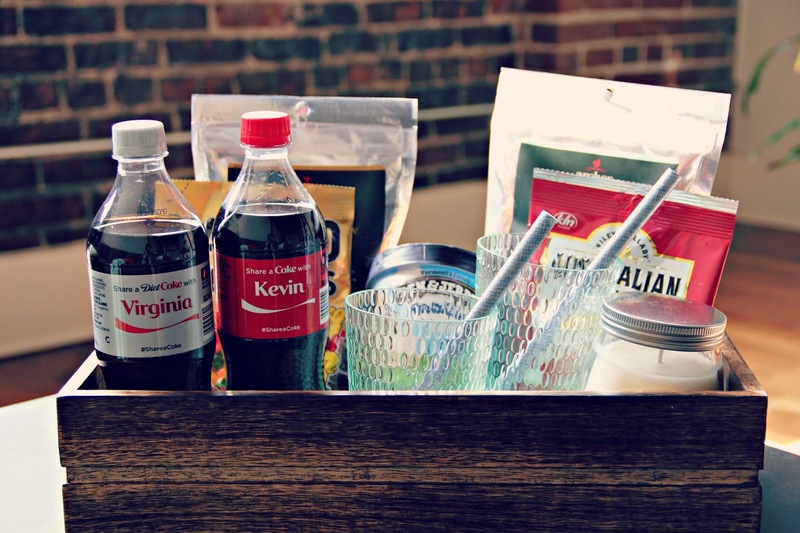 I picked up everything they would need to have delicious Coke floats together... with a few snacks. Overall, it was an easy gift to put together for some expecting parents. This would also make a great gift for just about anyone. 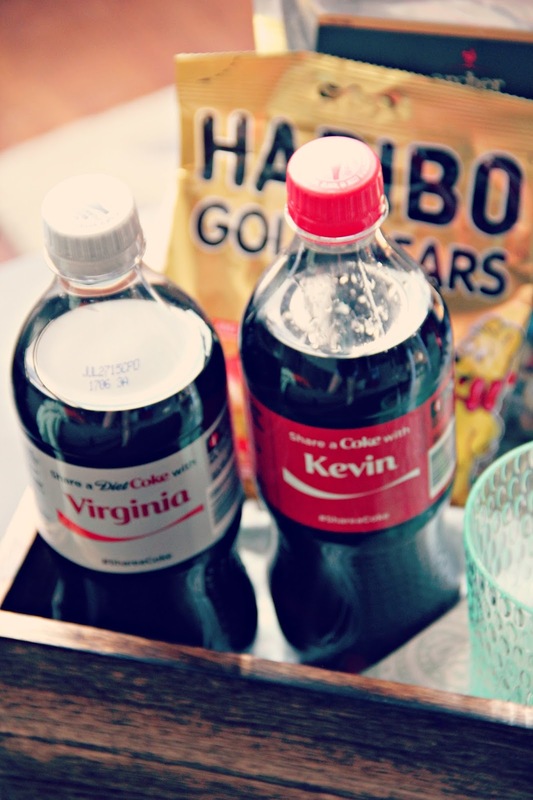 I just love these personalized Coke bottles! Can't find the name you want? Don't worry, Coke has thought of that. You can have bottles personalized just for you. 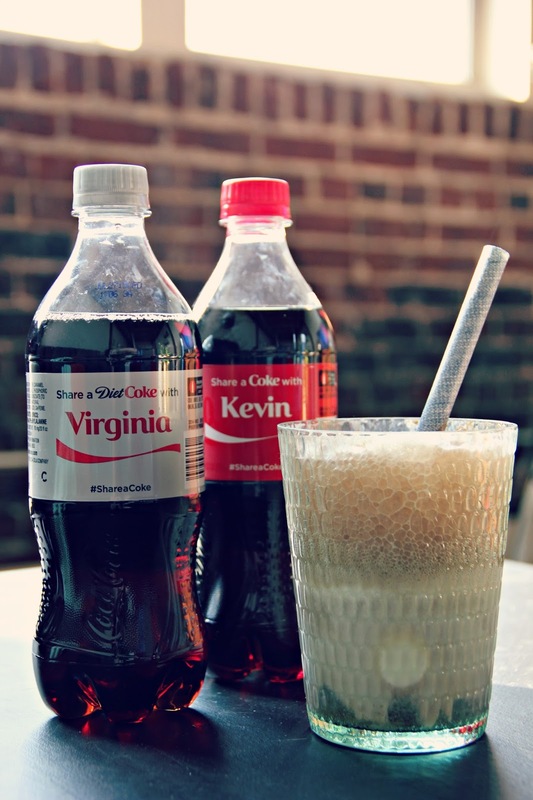 So, who would you like to Share a Coke with this summer? I want to hear your ideas! !